Flyers too much for No. 2 Bulldogs in Class C South semifinal. 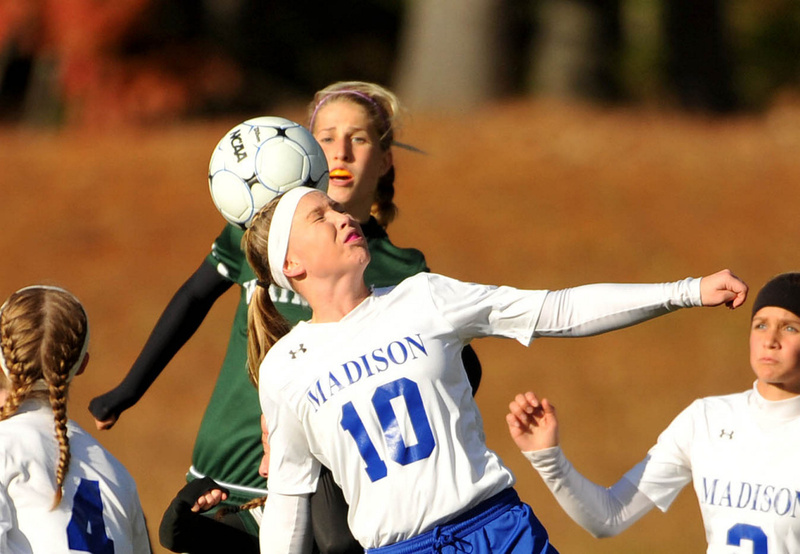 MADISON — Overwhelmed early but not out of resolve, the Madison Area Memorial High School girls soccer team did not relent despite facing an early deficit to visiting Waynflete. 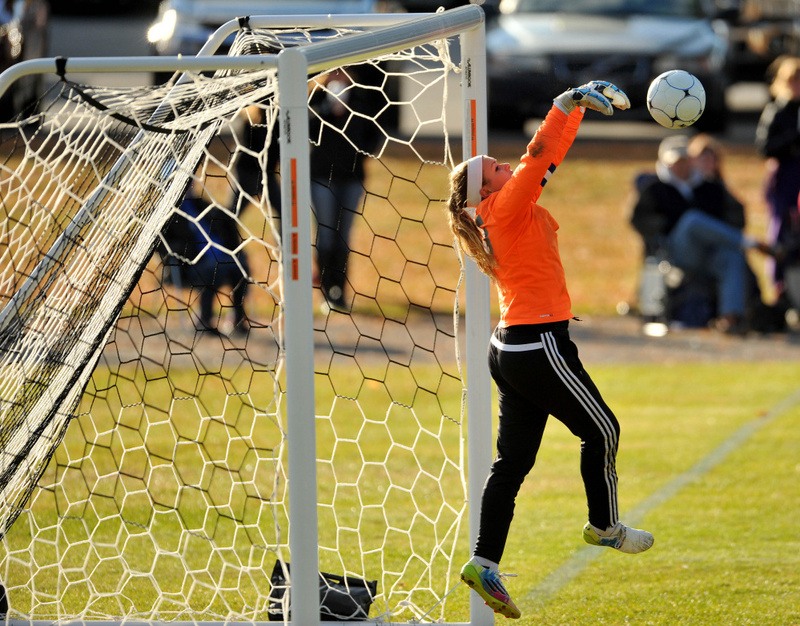 A game-tying goal early in the second half from Kayla Bess seemed to give the second-seeded Bulldogs (11-2-3) new life, but ultimately the constant pressure from the sixth-seeded Flyers (13-4-0) proved too much as they went on to grab a 4-1 win Friday afternoon in a Class C South semifinal. Waynflete held a 1-0 lead at halftime on a goal from Arianna Giguere off a corner kick from Isabel Canning with 33 seconds left until intermission and dictated play throughout the better part of the first half. The Flyers got a couple of chances early in the second half before Madison struck. Bess won a corner along the left end line and then finished the play off herself, putting the ball home after Waynflete failed to clear the ensuing corner kick away. “We thought that might energize us and there were a couple of times that we had opportunities to score,” Walsh said. One of those chances came just four minutes later when Madeline Wood got behind the Waynflete defense just behind the center line and raced toward the goal with a pair of Flyers in tow. Waynflete goalkeeper Ali Pope timed Wood’s final touch well, though, and raced out to make a save just as Wood was preparing to fire the ball on goal. Both players were shaken up on the play but returned after the next stoppage. 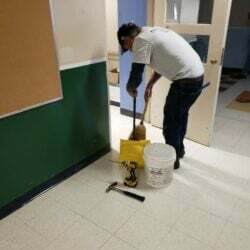 “There was a little bit of time where we felt the momentum switch to Madison a little bit,” Giguere said. “(Pope’s save) really got the rest of us to take a moment and get composed and come ready to work for the rest of it. Giguere helped set up what would be the game-winner with 17:09 remaining, launching a long throw-in into the box where Beata Vest coaxed the ball into the net. From there the Flyers poured it on, getting a pair of goals from Giguere in the final eight minutes to put the game well out of reach. 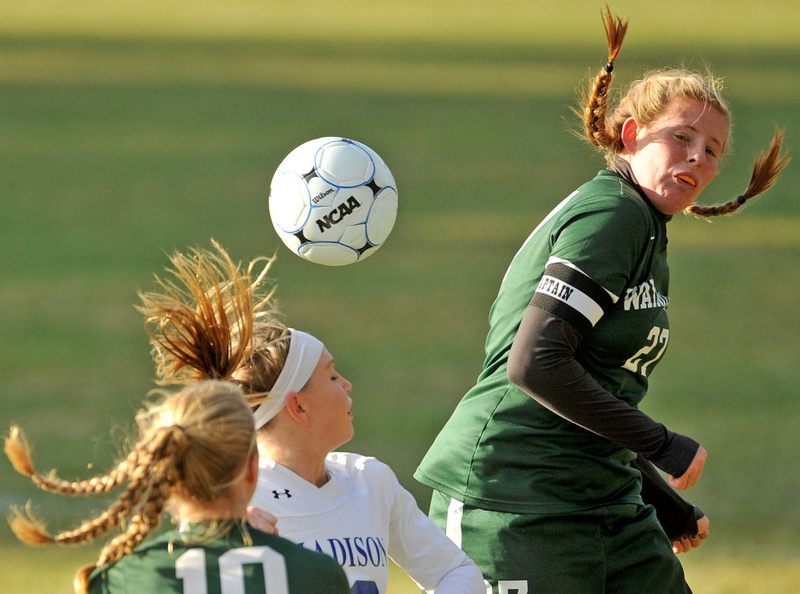 On the afternoon Waynflete held a 14-2 edge in corner kicks and 19-8 edge in shots. 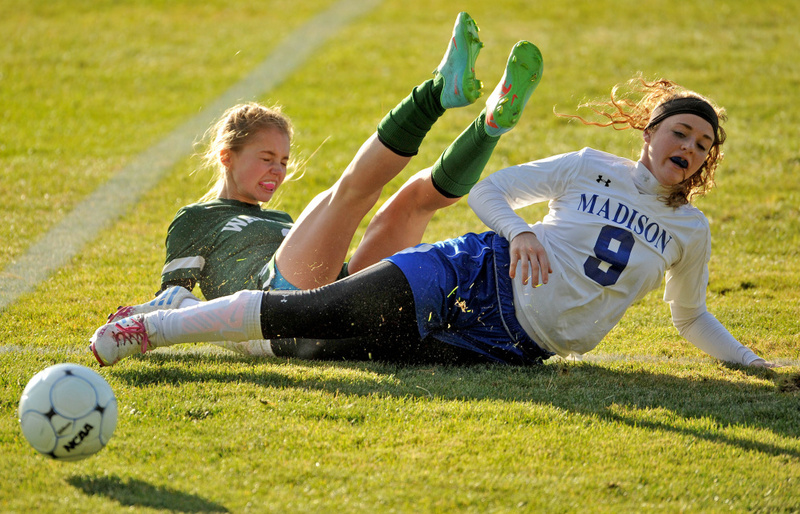 Madison’s Erin Whalen finished the game with 10 saves. “That was a matter of time until they took advantage of that,” Madison co-coach Erin Wood said. “Of course, we had our opportunities on the corner kick but we just gave more opportunities to them. A team like that is eventually going to finish on you.